Celebrate Brisbane with Treasury Brisbane for your chance to win $250 every week from March 17 to April 13 and I am a guest judge - woo hoo. Treasury Brisbane is taking a moment to Celebrate what makes Brisbane Brisbane, with a range of exciting plans ahead and the start of construction on Queen’s Wharf Brisbane, what’s not to celebrate! To enter the draw to win $250 cash each week, simply share via Instragram your personal celebration of Brisbane. It could be the local river walk, sporting event, cafes or culture, friends or festivals; Treasury Brisbane want to see what you love most about our beautiful river city. Eligible Entrants must submit an Instagram photograph or fifteen (15) second video of them Celebrating Brisbane. 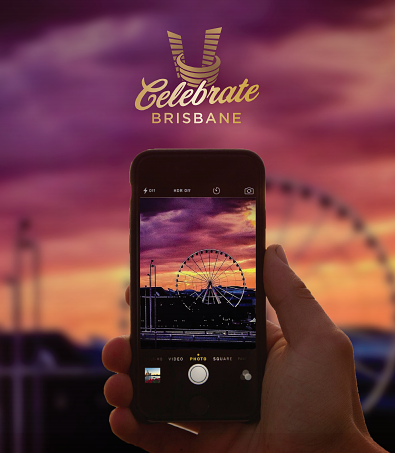 The Eligible Entrants must post to Instagram and tag @treasurybrisbane and hashtag #celebratebrisbane to enter. Each week on Friday 24, 31 March and 7, 14 April at approximately 3.00pm our guest judge will choose their pick of the entries submitted the week prior. The winner will be announced on the Treasury Facebook and Instagram pages at approximately 8.00pm. There is a total of 4 winners during the promotion period. Must be 18 years of age or over to enter. Entries must be the original work of the individual entrant and be submitted by the individual entrant and any automated entries will be invalid. Entries must be submitted by a public Instagram account.